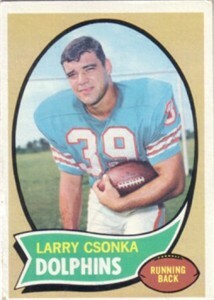 1970 Topps second year card of Miami Dolphins Hall of Fame running back Larry Csonka (#162). About VgEx condition (corner and edge wear). ONLY 2 LEFT.